The health benefits associated with copper are wide-ranging and include energy production, enzymatic reactions, use of iron, and proper growth. Copper relies on an external source because it cannot be naturally produced in the body. A deficiency in copper can result in a variety of health complaints such as anemia, brittle bones, birth defects, dilated veins, and low skin pigmentation. A well-balanced diet can help to up the intake of copper. Important sources of copper include wheat bran, oats, garlic, lentils, seafood, meat, and almonds. The food source with the highest concentration of copper is oysters. 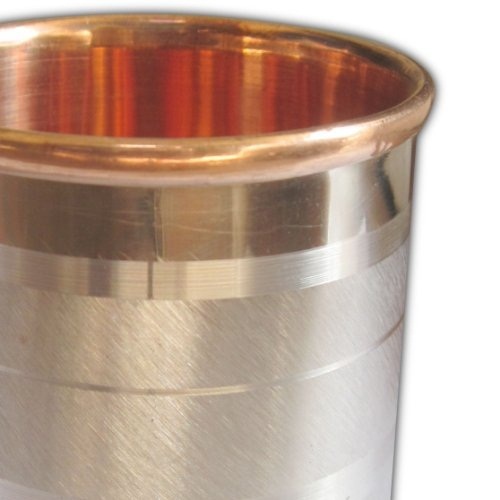 Plus, copper can be introduced to the human body by drinking water using copper based cups or copper pipes. Copper contains anti-inflammatory properties which are known for their ability to reduce the symptoms related to arthritis. A simple home-based remedy to help relieve these symptoms includes storing fresh water in a copper cup or vessel. By leaving the water in the container overnight there is the potential for minute traces of copper to build up which helps to improve the strength of the muscular system. Getting a regular intake of this mineral is certain to encourage proper growth and provide extra protection for the cardiovascular, nervous, and skeletal systems. A proper dietary intake of copper is certain to help with all-round health and growth. A diet that contains the proper intake of copper can act as brain food. Drinking water with the right amount of copper or using supplements can provide the most effective methods to get the right proportions. But avoid an excessive amount because this can have an unhealthy impact on the brain. Copper has a leading role in the function of collagen, body pigment melanin, myelin, and hemoglobin. It has a significant role in protecting the nerves from damage. Plus, it helps with the production of elastin. This mineral is useful for maintaining the body’s supply of melanin, which is the naturally produced dark pigment that can benefit the coloration of the eyes, hair, and skin. Also, the regular use of copper supplements is reported to slow the progress of hair turning gray. Getting enough copper in the system can help to reduce the concentration of iron that builds up in the intestinal tract. This concentration of iron is generally released from areas of the body like the liver. Copper can also help absorb the sugar in the system.